The importance of environment in the policy making of all the governments in the world is increasing with every passing day. One of the most important factors of a clean environment is the availability of clean drinking water for everyone. Drinking tap water in New Zealand is not a bad idea. Despite being in the tenth position on this list, the tap water in this country was considered as one of the cleanest and safest in the whole world. Germany is ninth on this list of ten countries. The reason for this is the high quality standards that this country follows in its water treatment plants. Stockholm is the capital of Sweden and is also one the best places in the world where you could find clean tap water for drinking. The reason for this is the two water treatment plants which supply clean tap water to the 1.3 million residents of the city. These plants are situated in Norsborg and Lovo. Both the plants use the latest technology for the treatment of water, so that best quality tap water could be readily supplied to the people of the city. The tap water that is provided in the United Kingdom is of highest standards and is among the best in the world. You would really get a clean, fresh, and safe supply of water, when you turn your taps in Britain. The primary reason for this is the highest level of quality standards that are provided by the UK water suppliers to its customers. The water regulations in the country are based on the EU drinking water directive and on the advice of the World Health Organization. The tap water which is provided in Italy is of good purity standards and it is sometimes compared to the bottled water available in stores. There are regular tests that are conducted by the government to analyze the quality of tap water on the basis of hardness, pH levels, dry solids at 180 degrees, fluoride, sodium, chlorides, and nitrite. These tests ensure that the quality of the tap water is maintained properly. In Austria, tap water that is supplied is taken either from ground water or spring water. To protect these water resources Austria has formulated a strong Austrian Water Act. This act states 90% of the Austrians take their drinking water from the water supply facilities, which are run by the government. Supplying high quality drinking water is mandatory according to Austrian laws. France uses various ways to increase the participation of the private sector in maintaining the sanitation and water supply of their tap water. There are lease contracts and special concessions, which are given to the private contractors. The levels of bacteria are very low in the tap water, which is supplied to its citizens and this is the reason why this country is part of this list. 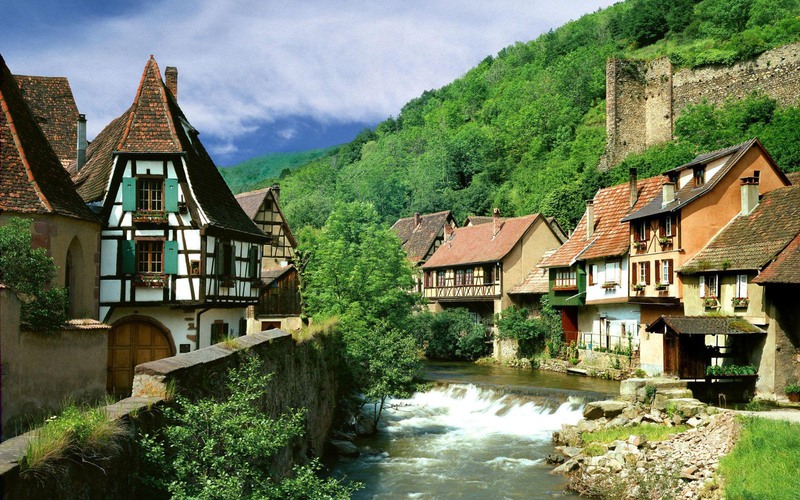 Luxemburg has nearly 71 springs that act as a great source of water resource for the country. However, there are only 38 of them that are used by their water department for obtaining drinking water. The water is then treated in highly advanced treatment plants, to make it suitable for drinking purposes. All the filtration plants use ultrafiltration systems, which makes this country have third best tap water provider in the world. Norway is the second best quality of tap water provider to its citizens. The water systems of the country treat the water in a way to provide pure, delicious, clean and safe drinking water of high quality. The country has special programs which look into protection of ground water and other water systems in Norway. There are regular checks that are conducted to verify the quality of drinking water. Switzerland is the country providing the best quality drinking water to its citizens. The water resources department in the country takes various measures to provide drinking water without polluting the water resources or the environment. The tap water that comes out of Swiss taps has the same quality as that of mineral water, which you buy in bottles. However, the cost of this high quality tap water is nearly five hundred times cheaper than bottled mineral water.